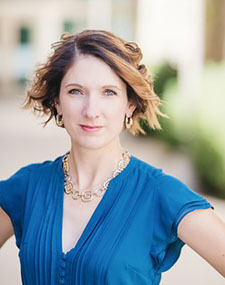 Dr. Merideth Thompson is an Associate Professor in the Management Department of the Jon M. Huntsman School of Business at Utah State University. She focuses her research on two main areas: bad employee behavior and the work-family interface. She is particularly interested in how abusive supervision and workplace incivility cross over to affect an employee’s family experiences. Thompson’s current research also investigates the impact of toxic workplaces on employee health and healthcare costs. Thompson's research has been published in numerous journals including the Journal of Applied Psychology, and the Journal of Organizational Behavior. She has been interviewed and quoted by ABC News, Fox News, the Daly Wrap on Wall Street Journal Radio, Boston Globe, Business Insider, Business News Daily, Business Week, CBS News Interactive, Business Network, CNBC.com, USA Today, US News & World Report (online), Village Voice, Financial Post, Harvard Business Review and MSNBC, among others. Dr. Thompson earned her Ph.D. in Organization Studies from Vanderbilt University. She teaches the Introduction to Human Resources and Negotiation courses. Prior to coming to the Huntsman School, she taught negotiation at Baylor University. Kacmar, K., Crawford, W.S, Carlson, D.S, Thompson, M., Whitten, D., (2014). A Short and Valid Measure of Work-Family Enrichment . Journal of Occupational Health Psychology, 19, 32-45.